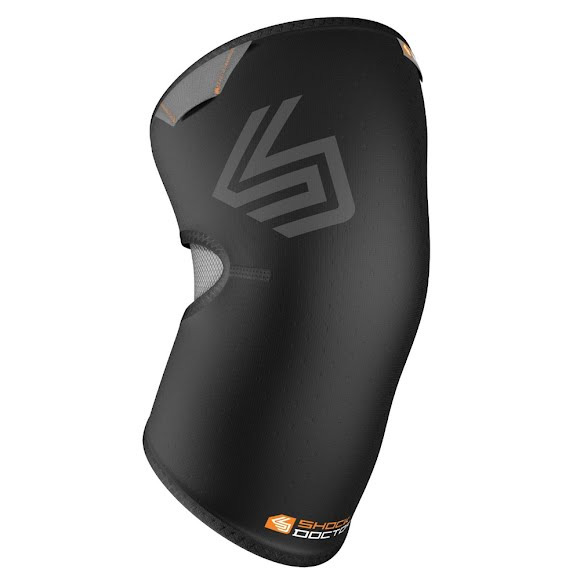 Experience free range of motion with Shock Doctor's Knee Compression Sleeve. This pre-curved compression fit sleeve, designed with closed patella coverage, stays firmly in place while the breathable mesh window strives to increase breathability and raise comfort levels. Experience free range of motion with Shock Doctor&apos;s Knee Compression Sleeve. This pre-curved compression fit sleeve, designed with closed patella coverage, stays firmly in place while the breathable mesh window strives to increase breathability and raise comfort levels. Provides enhanced fit, comfort and performance. Provides cooling and comfortable full-range of motion flex. Provides moisture wicking compression for therapeutic warmth and healing. For easy grip pull when fitting.